Do you Sudoku? It’s one of the hottest number games around! Well, here’s a twist we think you’ll love. We call it PacSci-Doku. Can you guess why? Here’s how it works. Instead of filling in the blanks with numbers, we use letters. Hidden in one of the columns or rows is the answer to a science question. You’ll find information about the answer on the answer tab below. What animal may be helpful in our efforts to communicate with distance intelligent civilizations? It is the dream of many scientists to communicate with other intelligent civilizations in our galaxy. We sent a message inscribed on a plaque aboard the Pioneer 10 and 11 spacecraft, which is just now leaving the solar system. 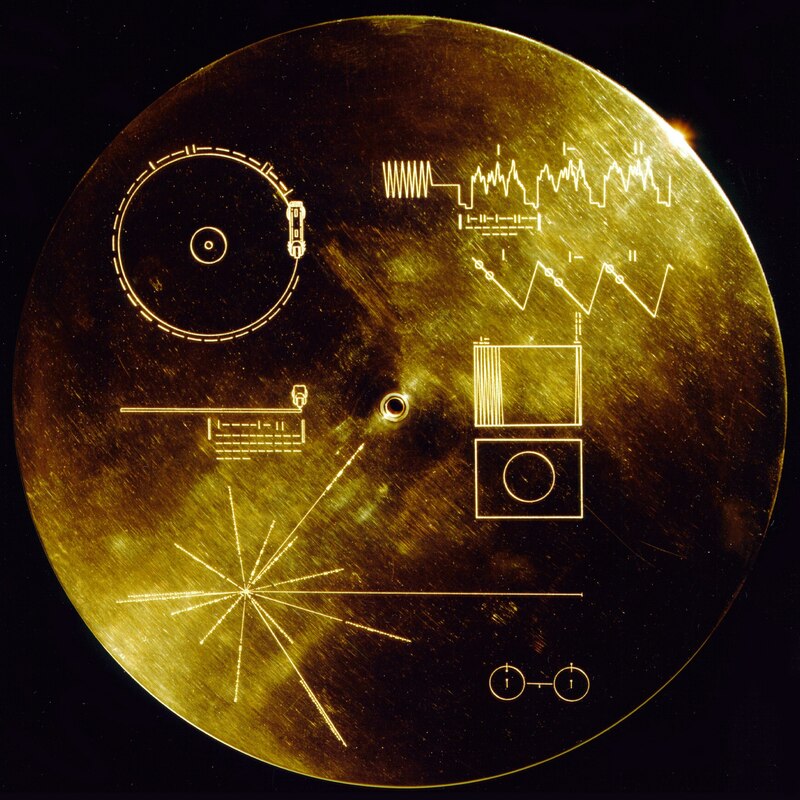 We sent a gold record on the two Voyager spacecraft with information about Earth’s civilizations. The hope is that some distant civilization will encounter the spacecraft in the future and learn about us. The question that always comes up is how well will any alien civilization be able to translate our message? The same problem exists if we receive a message from a distant intelligent civilization. Will we be able to translate the message they send us? Scientists now think that the squeaks and whistles of dolphins may help us understand any communication from any civilization elsewhere in space. The dolphin sounds have patterns with similarities to human language and to other languages of animals, so may indicate there is a pattern that can be used to decipher any language. Learn more about how studying dolphin communication may help us understand a message from an alien civilization.